Get your money in as little as 1 day! Why Choose a Personal Loan from Best Egg? A clear and simple path to financial freedom. Apply online and have funds deposited into your account in as little as one day. Check your rates in just minutes with no impact to your credit score. APRs as low as 5.99%† could save you thousands compared to credit card rates. Best Egg® is a new way to look at loans and debt reduction. 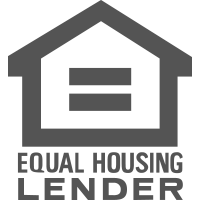 Our fast and efficient online lending platform allows us to make our loans available at a lower cost. Best Egg® online tools are designed to put the customer in control. Customizing your loan is easy, while our multiple payment options make managing your loan a breeze. Our self-service and easy-to-use tools are available 24/7. Best-in-class customer service is at the core of everything we do. Best Egg® provides the online tools to help yourself and has knowledgeable, friendly people available when you need them.